2020 departures only: Book before 31 May 2019 and receive an early booking discount of $300 (or equivalent currency). Hurry while cabins last! 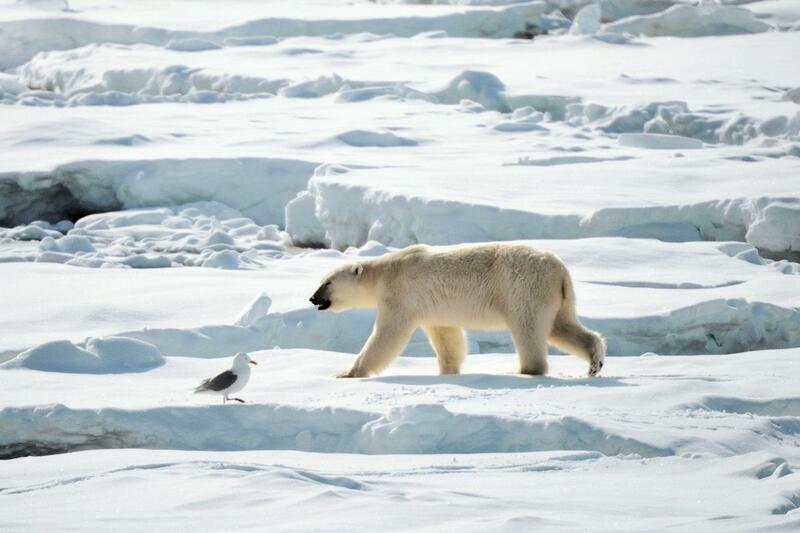 A rare and wonderful combination - magnificent Norway with Svalbard during the peak of the bird season. Not to be missed! Day 1: Bodø We arrive in Bodø and embark our expedition ship M/S Quest. Once settled in our cabins, we are welcomed by the guides and crew. 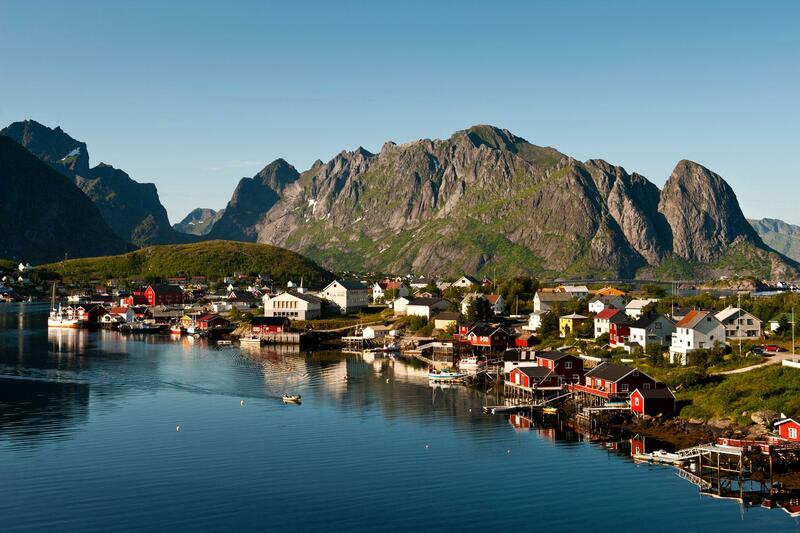 During the afternoon we begin our voyage towards the dramatic Lofoten Islands. Day 2: Vedøya - Reine After breakfast we make a first trip in our Zodiac around the spectacular island of Vedøya with its tens of thousands of nesting sea birds. Vedøya is also often frequented by eagles. 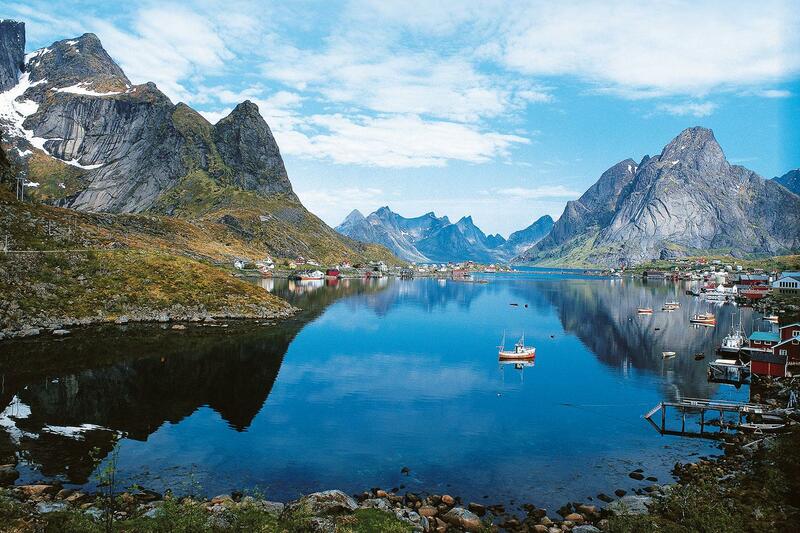 We sail along the southern side of Lofoten, a vast collection of rocky islands rising from the sea, towards Reine. This charming fishing village, with characteristic talks on board introduce us to Bear Island’s exciting history. 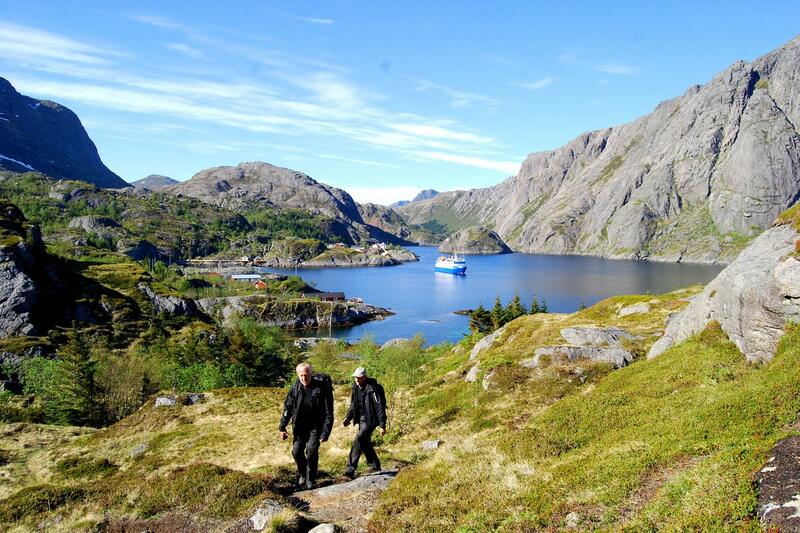 Day 5: Bear Island With our solid Zodiacs we explore this fascinating rocky island in the middle of the Barents Sea. Because of the remoteness only a few ships can stop by for a visit. 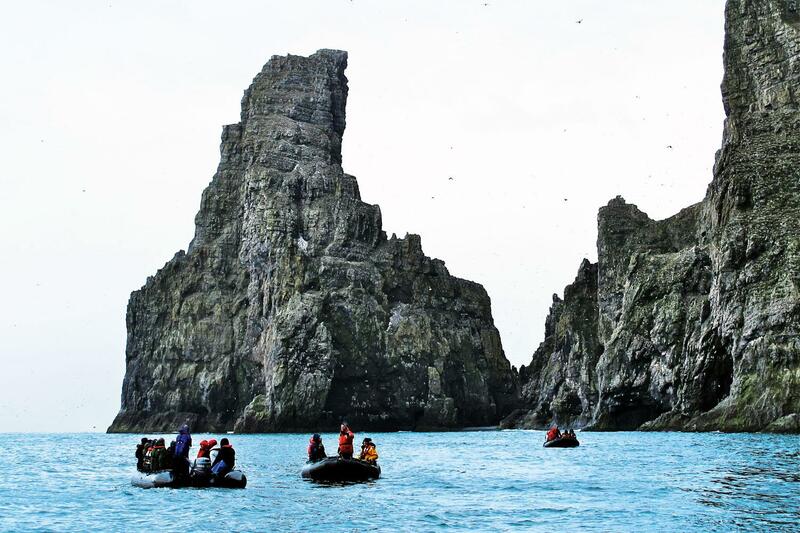 Vertical 400-meter cliffs rise in the distance as we approach, and here we find one of the largest seabird colonies in the North Atlantic. Tens of thousands of guillemots nest here, as well as puffins, razorbills, kittiwakes and glaucous gulls. Our main goal is to go ashore and explore Bear Island by foot. 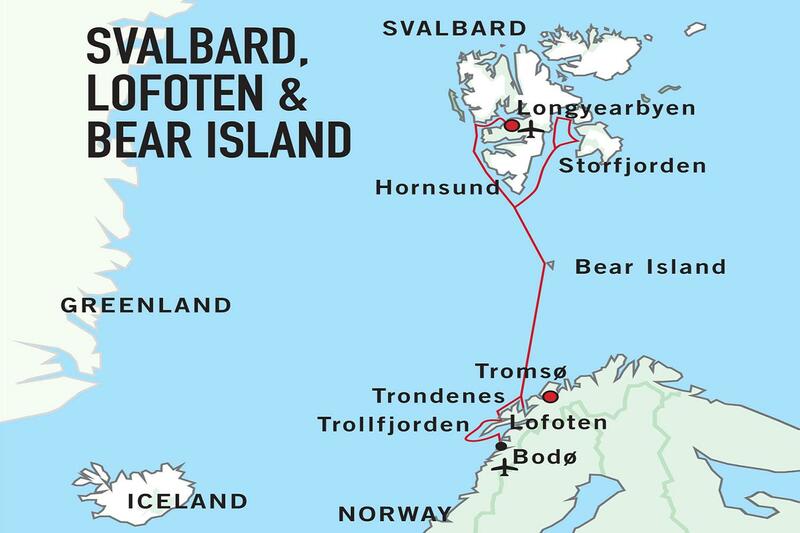 We then continue our journey into the Arctic waters and our next destination is Svalbard – one of the world’s most magnificent wildernesses. Day 6 - 9: Svalbard It is early in the season so our route the following days will depend on the weather and ice conditions. These are examples of places we might visit: Storfjorden During this time of the year there is often a lot of drift ice in the vast Storfjorden between the islands of Edgeøya and Spitsbergen, but we try to get as far north as possible. On the island of Edgeøya are remnants of the first Pomors who came to the area in the 1600s. 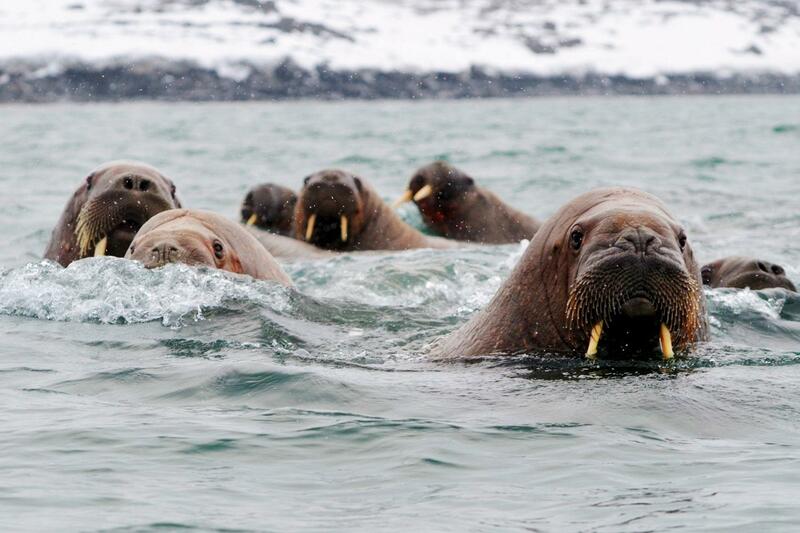 These Russian trappers came here to hunt polar bears, seals and reindeers. On the east coast of Spitsbergen lies Isbukta. 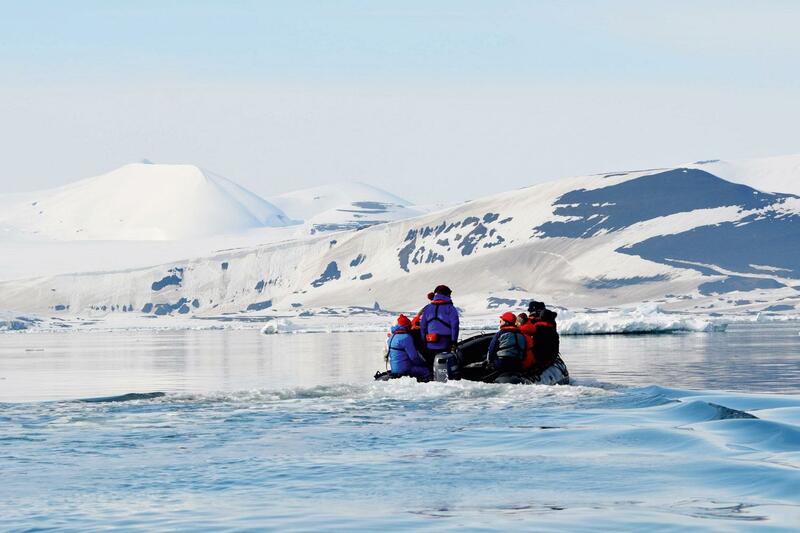 In this spectacular bay we head out in our Zodiacs to enjoy the stunning views of the snow covered mountain peaks and the front of the impressive glacier Vasil’evbreen. The bay is also a popular spot for Sabine’s gulls, Arctic skuas and bearded seals. Hornsund & Bellsund The majestic Hornsund consists of several magnificent fjords along the west coast of Spitsbergen, where enormous glaciers calve out shimmering blue ice. This is one of the favourite haunts for some of Svalbard’s polar bears and if lucky we can spot one of them on the fjord ice. At the beautiful Vårsolbukta in Bellsund little auks nest by the tens of thousands. 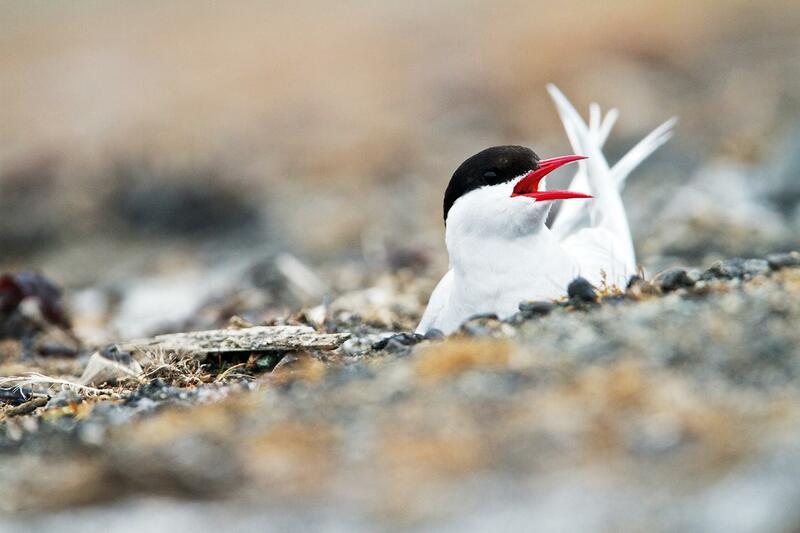 We go ashore and walk across the tundra to take a closer look at these charming birds swarming around us. Isfjorden At the entrance of Isfjorden is the characteristic cliff Alkhornet. We go ashore to enjoy the beautiful tundra and its birdlife with barnacle geese, Brünnich’s guillemots, glaucous gulls, snow buntings and tens of thousands of kittiwakes. Some Arctic foxes are often seen in the rock crevices around the mountain and with some luck we might see these lovely little animals scurrying around, frantically looking for food. Day 10: Longyearbyen In the morning we leave the ship in Longyearbyen and begin our journey home. Please note: Our exact route will depend on ice, weather conditions and wildlife. We always strive to maximise your experience. Please remember that flexibility is the key to a successful expedition! The expedition ship Quest (formerly M/S Sea Endurance) was built in Denmark in 1992 to serve as a ferry on Greenland`s west coast. In 2004/2005 she was completely refurbished and now has a career as a small and comfortable expedition ship. Quest takes 53 passengers in 26 cabins, all with sea-view and private facilities. Travelling with this small expedition ship offers a more relaxed and informal atmosphere and a much greater focus on the destination than is the case with larger vessels. In the dining room you are treated to delicious meals in between landings and in the panorama lounge you can enjoy a breathtaking view of the surrounding landscape. Here you can listen to entertaining lectures on the area's flora, fauna and history. In the lounge you also find a well-stocked bar and a small library. 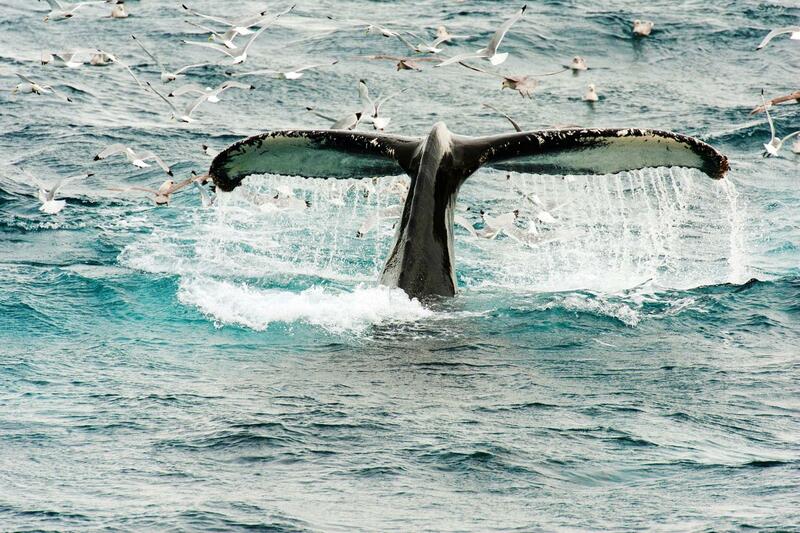 The ship has spacious observation decks where you can enjoy the beautiful vistas and search for exciting wildlife. The triple cabins on deck three have upper and lower berths. All other cabins have two lower berths or a double bed. In your cabin you also find a desk with chair and storage space for clothes and equipment. The superior cabins on deck three and four are spacious and have a separate sitting area and TV/DVD. The Owner's cabin, next to the Captain`s cabin, on deck four has a double bed, two large picture windows, a small sitting area and TV/DVD. personal expenses such as bar and shop charges. Deposits Reservations require a deposit of 25% at the time you receive a booking confirmation from Expeditions Online. A secure payment link will be sent to you and this may be paid by major credit card alternatively bank transfer. Bookings within 60 days of departure require full payment. Final Payments Balances are due 60 days prior to departure. Final payment can be made by bank transfer. Balance payments by credit card are subject to a 2% surcharge. Cancellations All requests for cancellation must be received in writing to Expeditions Online. For cancellation received more than 60 days prior to departure there will be a full refund of the program cost less 10%. For cancellation received between 60 days prior to departure and departure date there will be no refund whatsoever. We strongly recommend that you obtain adequate trip cancellation insurance. Booking Terms Please read carefully the General Booking Conditions for Expeditions Online. This voyage is operated by Polar Quest Expeditions and you additionally travel under their terms and conditions as the operator as well as of the Shipping Company/transport carrier. Details will be forwarded to you at the time of booking.